The Coral Island Club Hotel has been designed as a boutique, world-class 88 key all-suite city-resort. The majority of rooms are designed as beachfront detached villas with private plunge pools, fireplaces and outdoor showers within private walled gardens. The resort has been conceptualised to attract both business, diplomatic and leisure travellers designed to permanently stand-out amongst all current and future hotel developments as the pre-eminent hotel in the nation’s capital, much like the Bel Air Hotel in Los Angeles’ Beverly Hills. 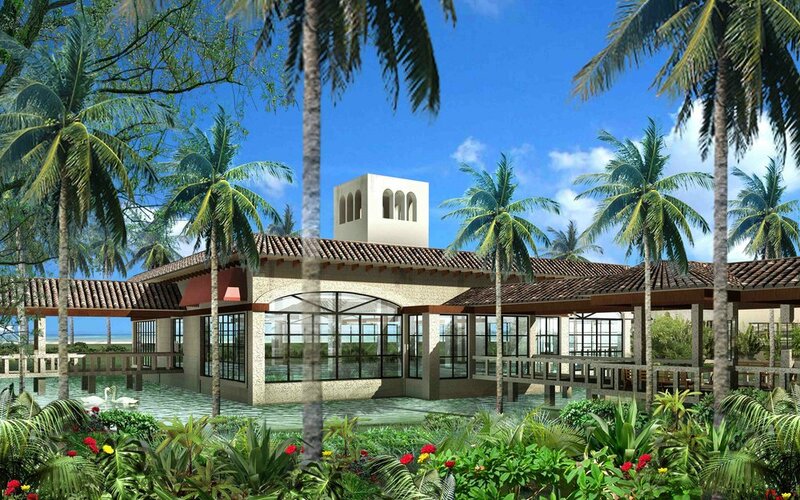 The Coral Island Club is a timeless yet unique blend of Spanish / Mediterranean architecture.